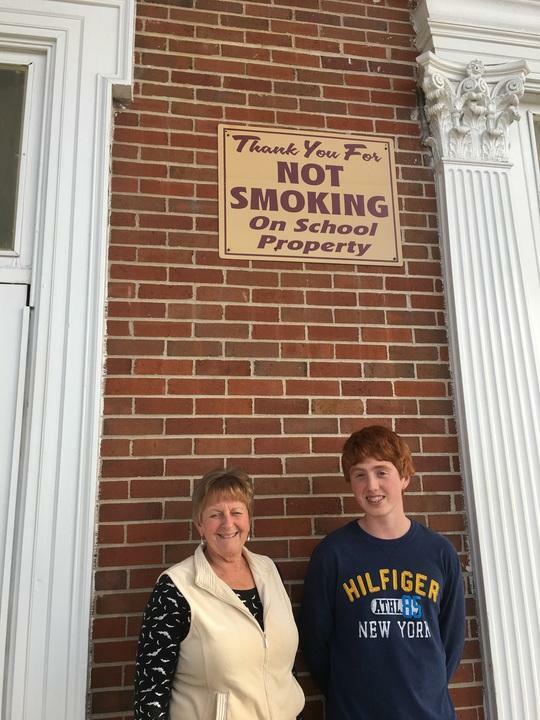 But upstairs in the library, sophomore and anti-smoking advocate Jacob Steward unfurls a six-foot scroll with earth-toned papers trapped between clear sheets of laminate. He begins reading the anti-smoking slogans he’ll post around the school. 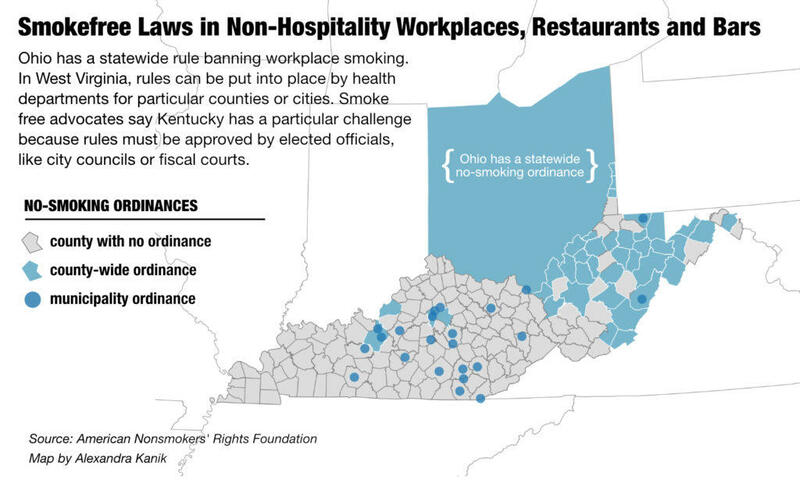 workplaces to ban smoking. 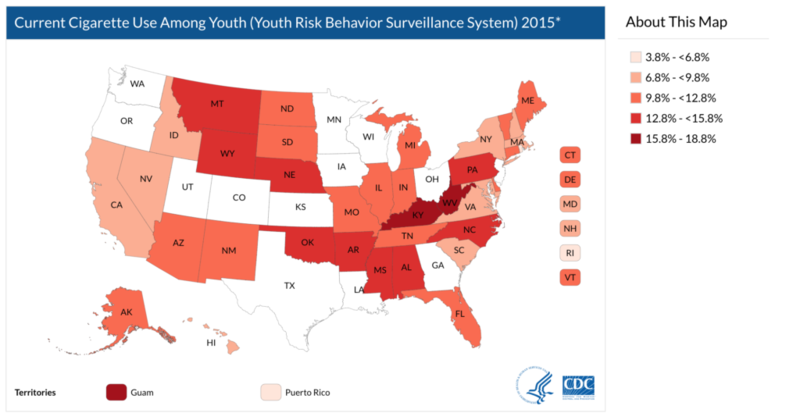 Data from the Centers for Disease Control show Kentucky and West Virginia have the highest rates of teen smoking in the country. His said kids are using nicotine to cope with anxiety and often progressing to other addicting drugs. 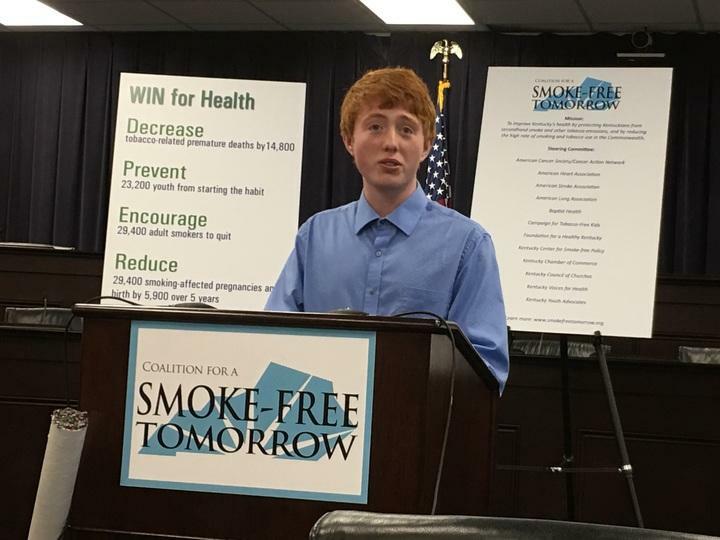 Kids including his best friend from middle school, who got in busted for trading vaping supplies with high school kids after his mom went to prison. That boy and others, he said, seek out nicotine. 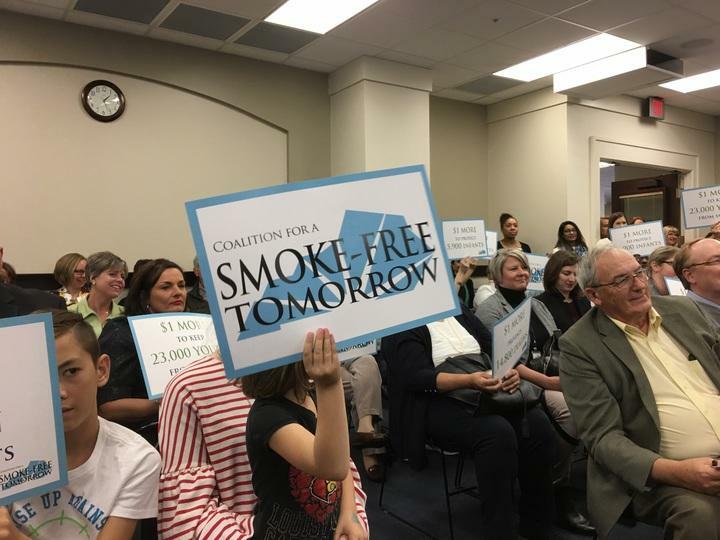 Kentucky taxes cigarettes at 60 cents--among the ten lowest state taxes in the country. Chandler said the $1 hike is important. 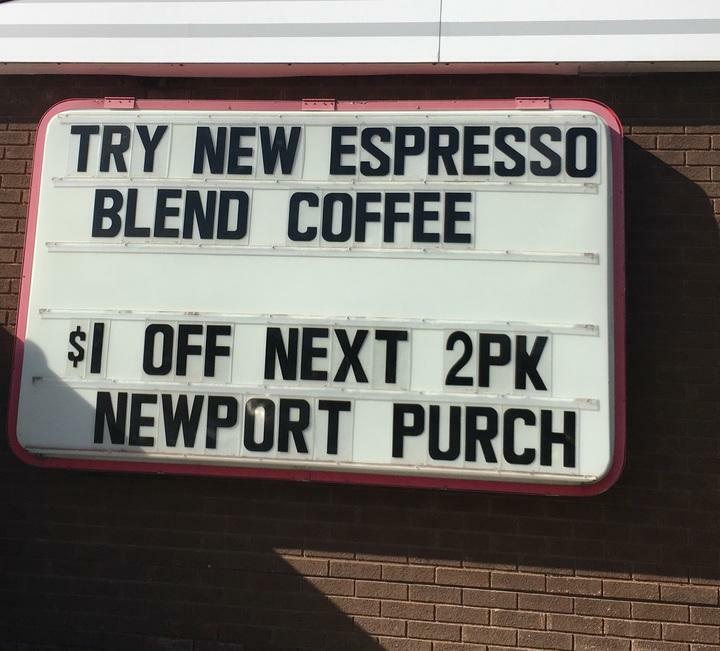 If the price doesn’t rise by at least that much, he said, the increased costs are offset by coupons and special deals by tobacco companies. 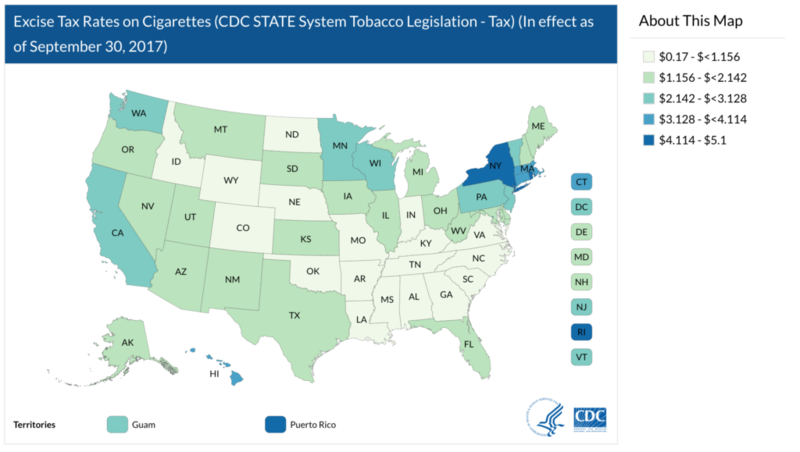 Coupons are specials are one way tobacco company offset tax increases. 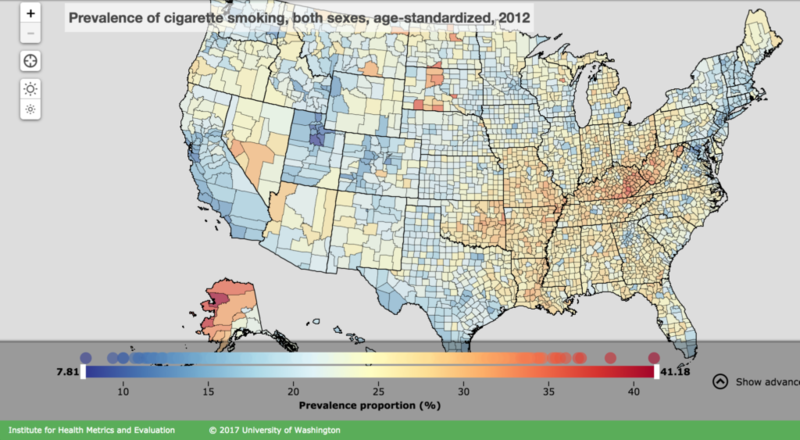 More than two dozen health organizations are promoting the physical benefits found soon after quitting smoking. They did so Wednesday in announcing the first Kick It, Kentucky week. 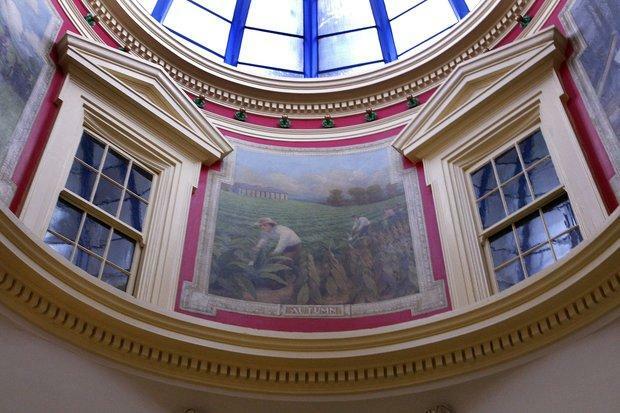 PARIS — A mural showing a tobacco harvest has been on display high in the second-floor rotunda of the Bourbon County Courthouse for more than 100 years. "Burley put me through school," Judge-Executive Donnie Foley likes to say. "Burley built this courthouse, burley built the schools, burley put food on the table." And because of that, he said, he can't imagine a day when Bourbon County goes smoke-free.